I’m a huge fan of bourbon, but I live in the boonies and sometimes it is hard to find new bottles to try. Lucky for me this emerald green bottle of Proper Twelve Irish Whiskey caught my eye and ended up coming home with me. I had no idea when I bought the bottle that it was Conor McGregor’s entry into the Irish Whiskey world or that it was named after his hometown, which has a postal code of 12. The honest truth is that I wouldn’t have bought the bottle if I knew that. I tend to stay away from “celebrity” brands as I feel like you pay for the name versus the quality. In this case, that would have been a mistake. My bottle of Proper Twelve was actually quite enjoyable. As a lover of bourbon, I don’t try many Irish Whiskeys, but I did enjoy Proper Twelve and will keep a bottle on my shelf. It had a nice mouth feel, a flavor that reminded me of a nice red wine and bourbon, but in a good way. 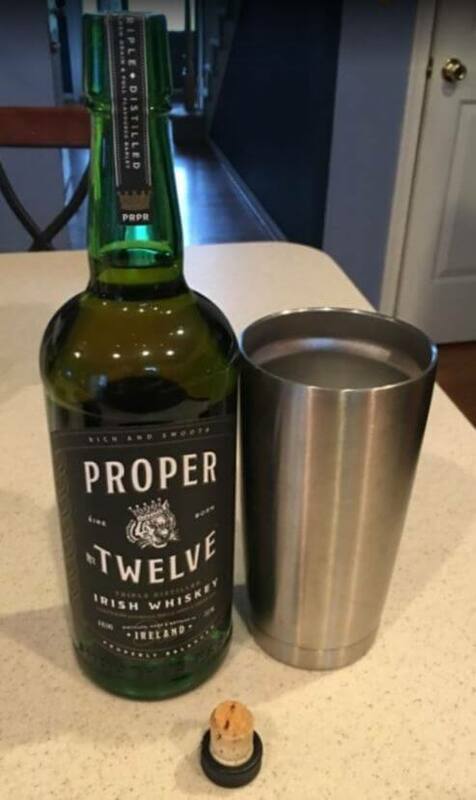 I read some less than positive reviews of Proper Twelve, but I think they may just be Irish Whiskey Snobs to be honest with you. They saw Conor McGregor’s name and fell for the same thinking I am sometimes limited by – discounting any product that has a celebrities name attached to it. For me Proper Twelve is a great budget bottle of whiskey and earned a respectable score of 71/100. If you drink enough you can see leprechauns. Has an enjoyable mouth feel with a rich flavors that reminded me of red wine and bourbon. May get discounted because it is a “celebrity” branded bottle. 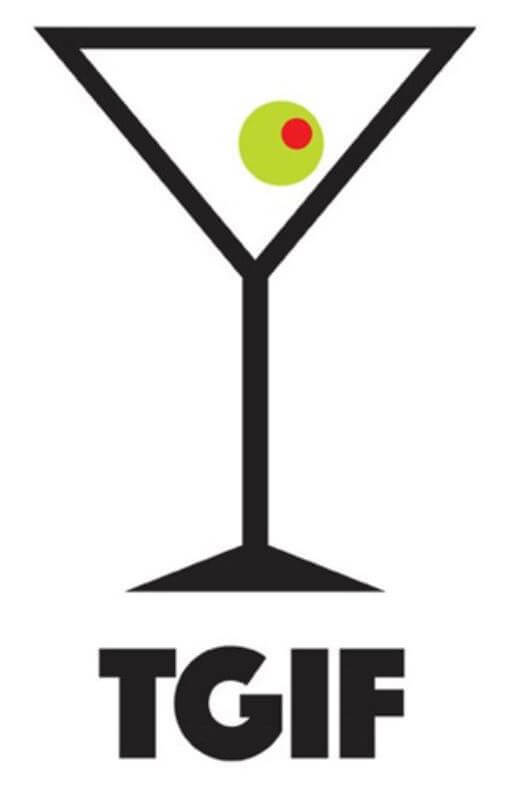 It’s not a bourbon, but you can only hold that against it so much. May make you speak with an Irish Brogue. I grabbed this bottle of Redemption because it was a new offering at my local store and the price, at $30 seemed reasonable to risk for a new offering. I am always hopeful I kind find a reasonable bottle that I enjoy so I having affordable to drink and to take to parties or get togethers – because it just seems wrong to let someone who doesn’t really enjoy bourbon drink the good stuff. Sadly, Redemption is not that drink. It starts rough, ends rough, and leaves an unpleasant burn behind. My advice would to spend a few extra dollars and get something you will really enjoy. Redemption earned its disappointing score of 40/100. Potentially useful to clean carburetors. Is pleasant on the nose, but lets down the palate. Burns, and not in a pleasant way. Hirsch Small Batch was actually one of the first bottles I bought when I started to drink bourbon, so I owe a lot to Hirsch for making me really like bourbon. How does it rank? It is a solid 74/100, and is very drinkable. I will always keep a bottle on the shelf, but I try and buy it when it is at the $33 to $35 price point, which increases its price to value substantially. I only have three or four liquor stores within a half hour of me, and the prices tend to vary drastically (probably because of me buying everything on the shelf when I see something I like) – but what this means is that bourbon that you might be able to find for $35 bucks jumps up to $50. My local stores will sometimes have Hirsch and Basil Hayden and Eagle Rare all priced within a few dollars of each other. If that happens I’m going with one of the others to be honest with you. 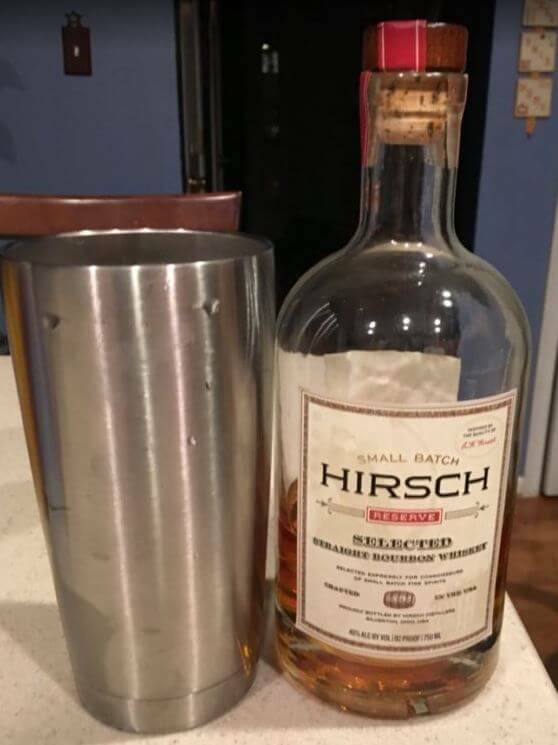 Having said that, Hirsch Small Batch is a great bourbon and is well worth sipping, especially if you can find it in the low $30 price ranges. If like like spice and rich flavors this is a bourbon for you. Depending on what is on the shelf and local prices, there are better options at this price point. Like Basil Hayden and Eagle Rare. Even when she goes down, she saves that wine. I picked up a bottle of Bib & Tucker and honestly debated whether I wanted to spend close to eighty dollars on the bottle. Because it was so expensive, I actually had it on the shelf and reached passed it for a good month because I was subconsciously saving it. Once I opened it, the bottle went quickly, and unfortunately my wife was with me when I went shopping and saw how much it cost when I put another bottle in the cart. Ouch. So, how did I like it? Honestly Bib & Tucker may not be for everyone. It has a strong earthy flavor with hints of cinnamon and really strong licorice overtones. 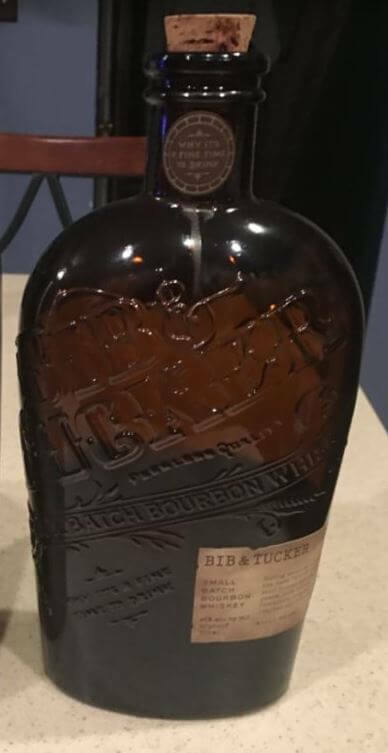 For some, the strong but peculiar flavor may be a turn off, but for me Bib & Tucker 6 year old bourbon was the perfect mix of smooth and strong with a clean mouth feel. Overall, Bib & Tucker is now the most expensive bourbon on my shelf, and also the highest ranked at 91/100. Great start of cinnamon and earth that finishes with licorice. Hit my palate in all the right places. So good it makes budget whiskey taste bad. 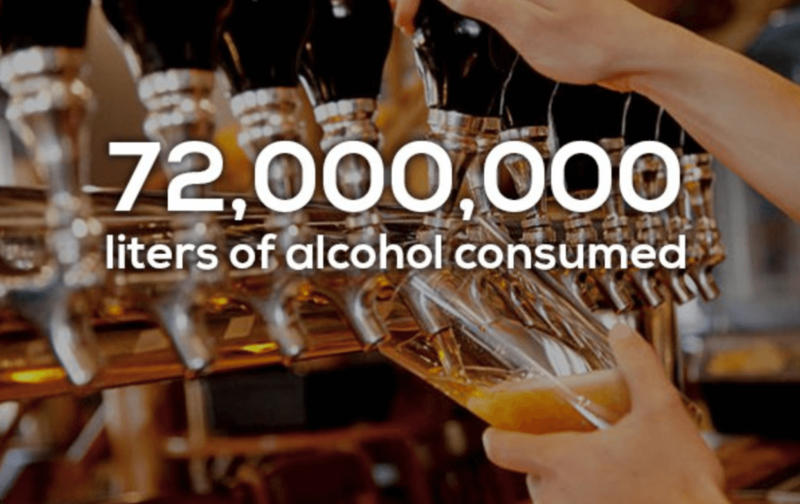 Earth & licorice may be too strong for some drinkers. Happy Friday, what could be happier than beer and dogs right? This Aeration Decanter Wine Pourer is honestly a present for moms and dads for after the normal craziness of kmiss night. Crack open a bottle of wine and use your new Aeration Decanter Wine Pourer to enjoy the bottle of your choice. Is of course the perfect present for those wine lovers in your life as well. It is also a great “back up” present. I always keep a spare unlabelled present because you never know who is going to show up on Kmiss, and this Aeration Decanter is perfect because who doesn’t like wine?